One of the biggest bits of news to come out of CES 2016, over a year ago, was Dell announcing a new beacon in OLED monitors: a 3840x2160 panel measuring 30-inch diagonal using an OLED display was set to come to market. When we reported on it back at CES, they stated a $4999 price point for March 31st. What happened over the next 12 months was interesting: some journalists doing ‘hands-on’ reviews at tech shows, but nothing coming to retail, followed by plenty of CES 2017 news that the display had been shelved due to image quality issues. Well roll around another quarter, and it seems that Dell is ready to sell it, and shipping for this $3499 beast is only 1-2 weeks away. The Dell UltraSharp UP3017Q is a 30-inch display with a 3840×2160 resolution, response time of 0.1ms, and is set to run at 60 Hz (not 120 Hz as some outlets originally reported). The monitor can reproduce 1.07 billion colors (in this case we assume 10-bit), it covers 100% of Adobe RGB color space as well as and 97.8% of DCI-P3 color space (used for digital movie projection by the U.S. movie industry and is expected to be adopted in televisions and in home cinema), and 85.8% of Rec2020. The manufacturer declares a 1,000,000:1 dynamic contrast ratio, due to the characteristic black of OLED displays. The UltraSharp UP3017Q is a thin monitor with narrow bezels, but not remarkably thin like OLED TVs, due to the internal power supply unit as well as complex logic inside. The monitor features a mini DisplayPort (mDP) 1.2 connector, an HDMI 2.0 port, and a USB type-C port which can be used for video and data connectivity, as well as power delivery up to 100W. The Emissive electroluminescent layer in an organic light-emitting diode is made of an organic compound that emits light in response to an electric current. The organic semiconductor layer is situated between two electrodes and does not require a backlight. As a result, it can display deep black levels unlike LCD panels which also use various kinds of backlighting. 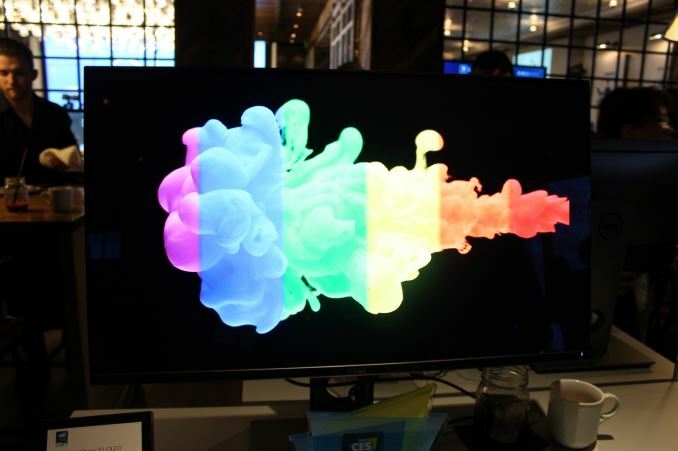 Curved TVs and monitors are also possible, since the emissive electroluminescent layer is very thin and can take different shapes. While OLED technology can deliver deep blacks, high contrast ratio and exceptional colors, it is not free of drawbacks. Colors can shift over time, and the organic layer may degrade over prolonged amount of time. 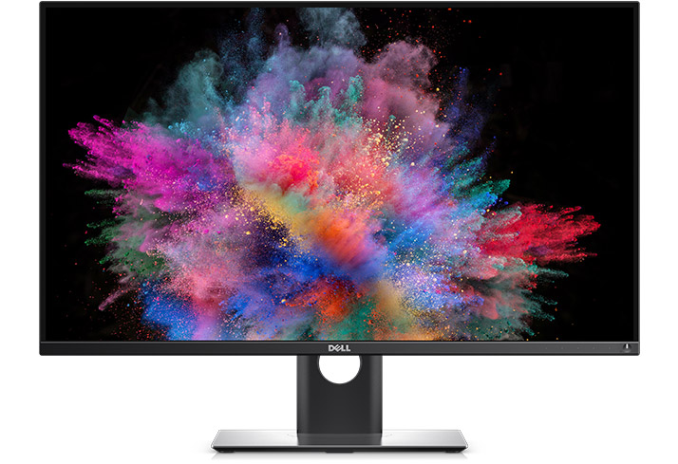 To keep the lifespan of the OLED panel maximized inside the UltraSharp UP3017Q, Dell originally advertised a special integrated presence detector into the front panel of the display, which switches the monitor off when nobody uses it, though it is not clear if this is still present. Another disadvantage of OLEDs is a possibility of static image burn-in. The UP3017Q has a special pixel-shifting technology to try and inhibit this. 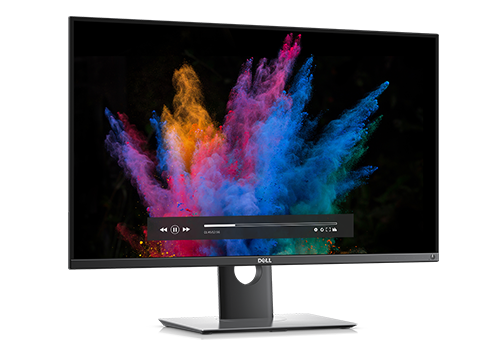 The Dell UltraSharp 30 OLED monitor will cost $3499 and is available to order in the United States. The display at this point is only aimed at professionals that work in color-critical environments such as graphic arts and photography. However, due to the colors, contrast, and ultra-fast response time, the UltraSharp UP3017Q will be a dream display for gamers, prosumers and other users thatvalue quality. OLED panels are considerably more expensive to produce than modern LCD panels, partly because of lower yields. In 2015, an executive from LG Electronics said that yields of OLED panels had reached 80% and would continue to grow. At the International CES 2016, Kwon Bong-suk, the head of LG’s TV business, said that the company had cut prices of OLED TVs in the U.S. by 45% late in 2015. As a result, LG expected sales of OLED televisions to triple in 2016. Price reduction of OLED TVs indicates that production costs of organic light-emitting diode panels are going down. Perhaps, over time, the Dell UltraSharp UP3017Q will also become more affordable, or Dell will release an OLED display for a wider audience.